This collection of dessert recipes is so delicious no one will know they are gluten-free! 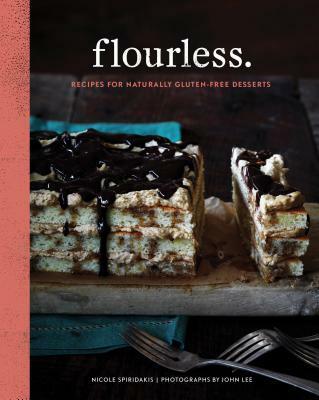 With 75 recipes for naturally gluten-free desserts, author Nicole Spiridakis uses a wide range of non-wheat flours to finesse the balance between decadent and dietary. These tasty recipes bypass complicated alternate flour mixes and hard-to-find "gums," fulfilling the increasing demand from those embracing a gluten-free diet (whether by necessity or choice). With creamy puddings infused with warm spices, cloudlike meringue cookies, dark chocolate brownies, and fruit crisps and crumbles, Flourless. turns dietary restrictions into something scrumptious. Nicole Spiridakis is a food writer and journalist who lives in San Francisco, California, and Morocco. John Lee is a San Francisco–based photographer.